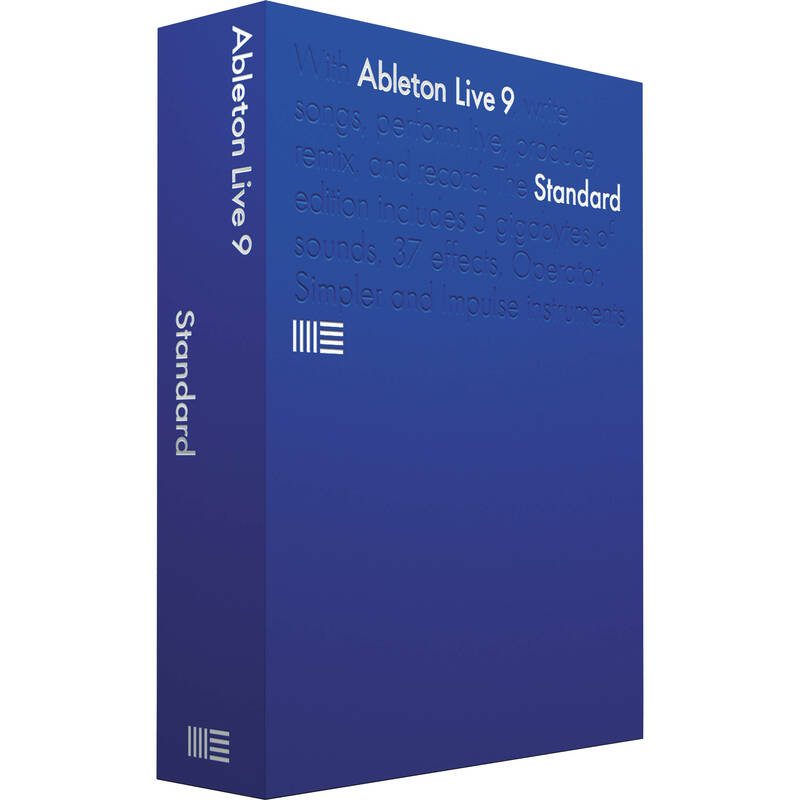 Live 9 Standard from Ableton is a solid update to the company's "think different" DAW software that is particularly popular with electronic and beat making creators. Two GUI views include a traditional, vertical-track display with time moving from left to right (Arrangement View), while the Session View is a place for experimentation that provides room for improvising, playing and performing with musical ideas without the constraints of the timeline. Live 9 Standard comes with 3 instruments, 38 effects, and over 1,000 production-ready sounds. Note: Upgrade available to registered users of previous versions of Live Intro. Box Dimensions (LxWxH) 9.0 x 6.8 x 1.5"